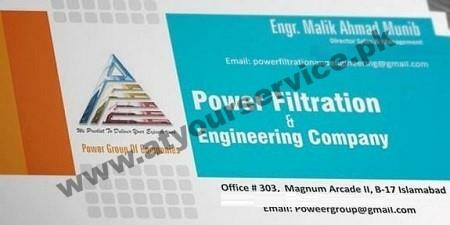 Power Filtration & Engineering Company is a Trading, Construction and Manufacturer Company in Pakistan. Power Group has Developed close ties with the biggest construction company manufacturers. We can supply parts, customer service & shipping for the lowest price on the market. We offer a wide range of original and only quality aftermarket parts, such as Caterpillar, Cummins, Komatsu, Hitachi, Atlas Copco, Detroit Diesel, Volvo Construction, Case, New Holland, Buhler, Bobcat, Freight-Liner & International.